At the center of British design, the London Sofa is both stylish and practical. With its overstuffed plump cushions it is the perfect balance of form and function. 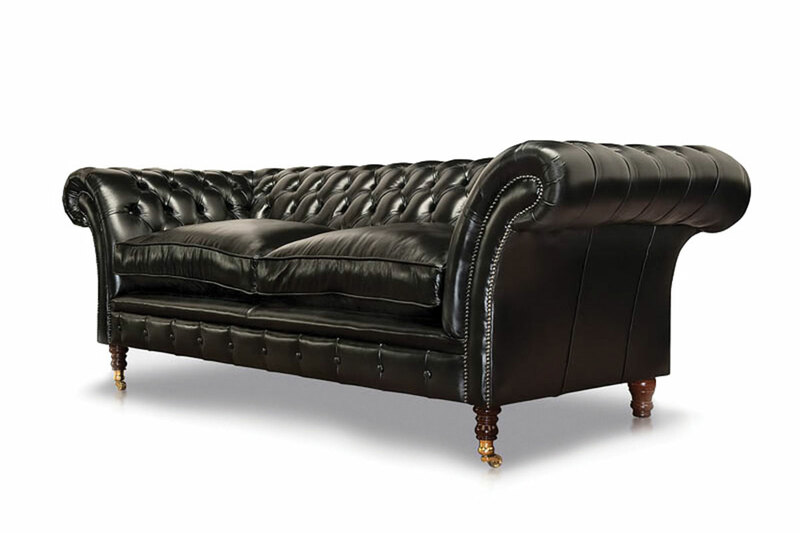 The London Chesterfield (1930′) comes with a heritage frame and is upholstered in 100% genuine leather. Most popular in full grain black leather and lately in Antiques leathers produced by Hannitan leather in South Africa. The London Chesterfield set consist of a 3 division, 2 division and a 1 division, either with bronze studs or silver studs. The London Chesterfield comes with wooden legs or bronze casters. The London Chesterfield is also available in a corner unit.